Every restaurant and caterer has a dish that sets them apart from the rest. Well Soprano’s Catering has not just one dish, but multiple dishes that set us apart in the catering business! When you shop fresh and everything is made from scratch, it is easy to have phenomenal flavor and a unique take on traditional food. Check out just a few of our signature dishes that receive complements every time we serve them! Yeast Rolls – Our homemade yeast rolls are a perfect example of made-from-scratch catering. 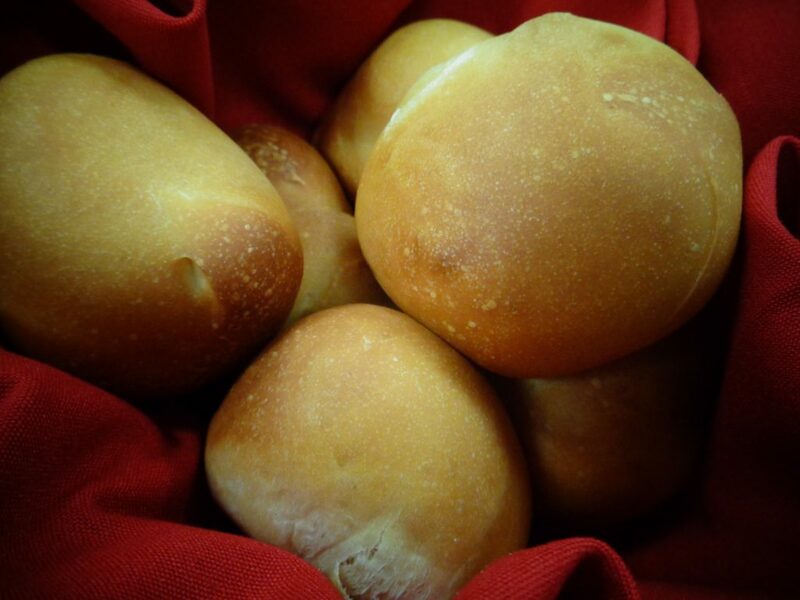 Our head chefs create Soprano’s delicious rolls every morning. They create and kneed out dough, let it rise, cut it up, and bake it fresh when meals need to get out the door. When your guests eat rolls from Soprano’s Catering you know every bite was made just for your meal! 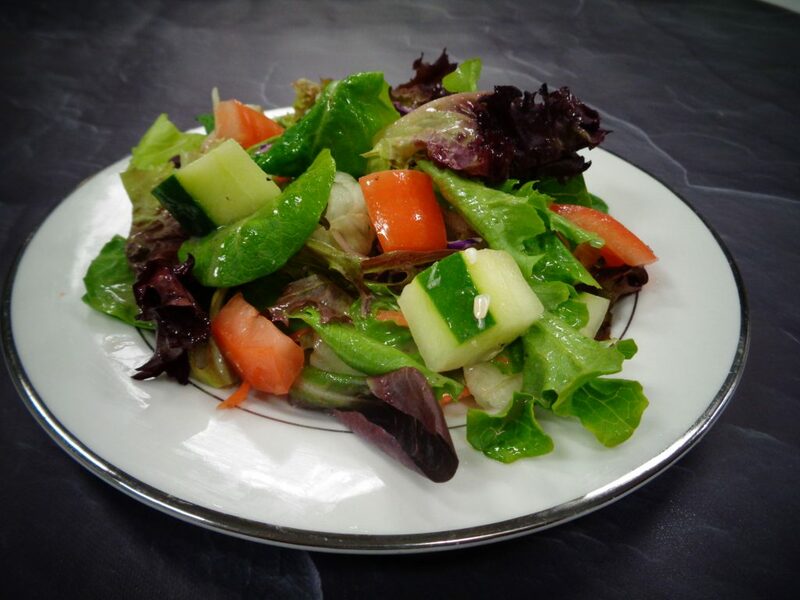 Vinaigrette – Many caterers depend on store-bought dressings for their salads. At Soprano’s Catering we know that homemade is the only way to go! Our vinaigrette is made from scratch using only the best oils, vinegar, and a secret blend of spices and seasoning. There is a sweet yet tart deliciousness that other caterers just cannot pull off! Herb Chicken Breast – A classic and very popular option for catering is a breaded chicken breast. Our chefs pound all our chicken breasts to tenderize them first. 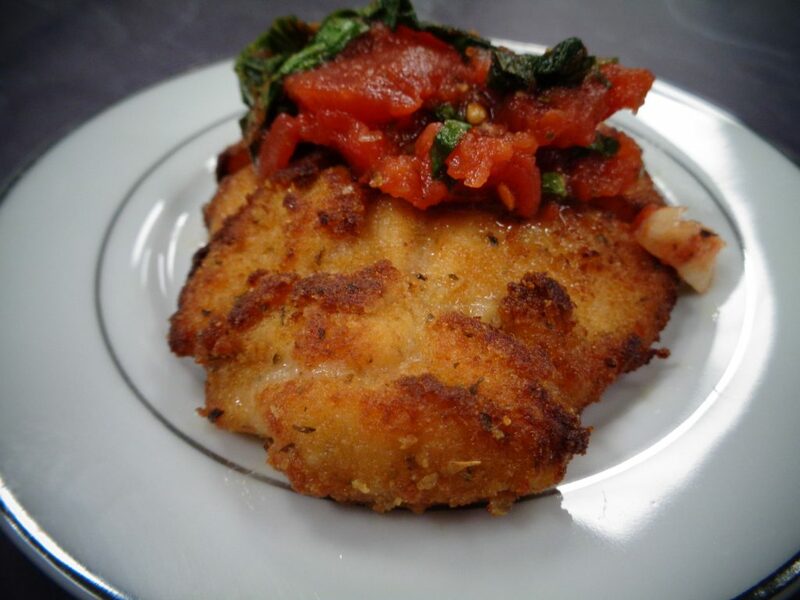 Then the chicken breast is lightly breaded with our secret combination of Italian seasonings. Finally the chicken breasts are then baked for that golden brown crispy perfection! This dish is a great example of classic catering done right! Sirloin Medallions – What more could you ask for in a meal than a classic Sirloin? How about enough sirloin to feed all of your guests! 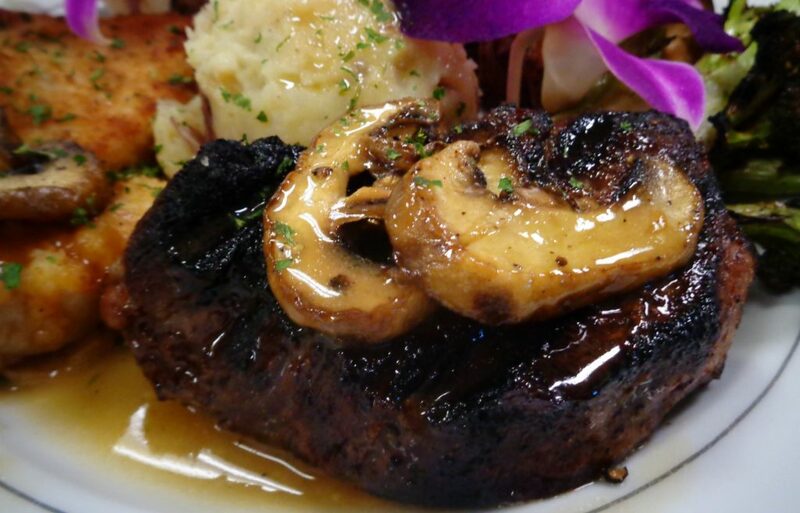 Our chefs tenderize bistro filet and slice it into meaty medallions. The medallions are then seared on our enormous catering grill top before being finished with our homemade zip sauce. There is nothing most tender, or more delicious than a beautifully prepared sirloin medallion! Ammoglio Sauce – An Italian classic, ammoglio (pronounced “amoigu”) sauce traditionally is served over grilled beef… but why stop there? Our head chef makes an ammoglio sauce that would taste amazing on shoe leather, but we recommend it served over our herb chicken breast, with our beef dishes, and scooped over rolls! Sometimes described as an Italian “salsa” ammoglio sauce is like an Italian version of butter… it makes everything taste better! Penne Palomino – Penne pasta is a culinary staple for every Italian household. Add some delicious basil marinara sauce and you have what many people call mostaccioli. But what happens when you take that basil marinara and add cream, butter, and some additional spices? 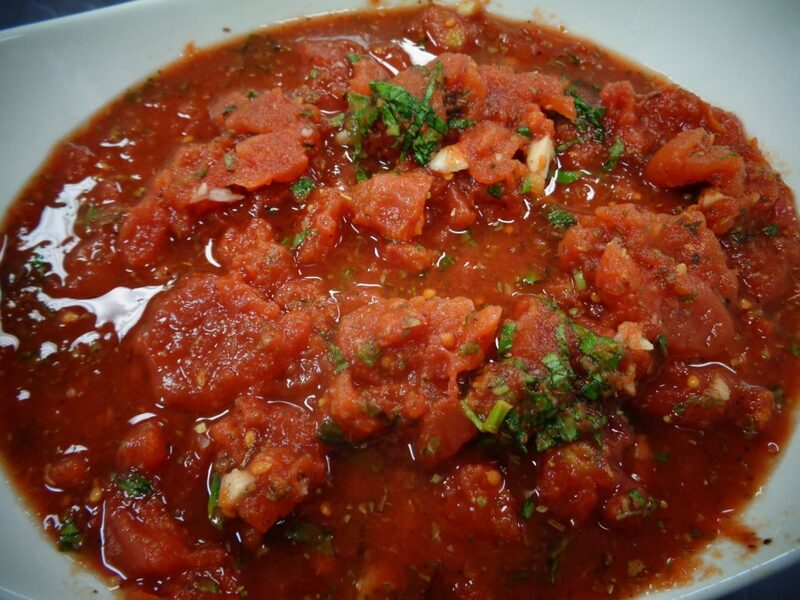 You end up with palomino sauce, a creamy pink tomato sauce that has an extra depth of flavor! 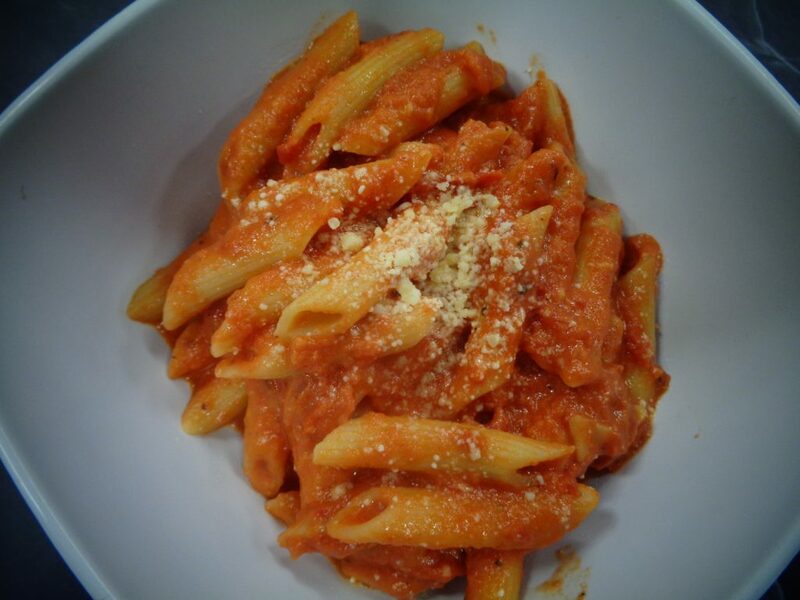 This pasta dish is a fan favorite with all Soprano’s Catering clients! Garlic Smashed – Mashed potatoes can be found in every kitchen. A classic dish with just the right texture that can bring that good homey feeling to a meal. 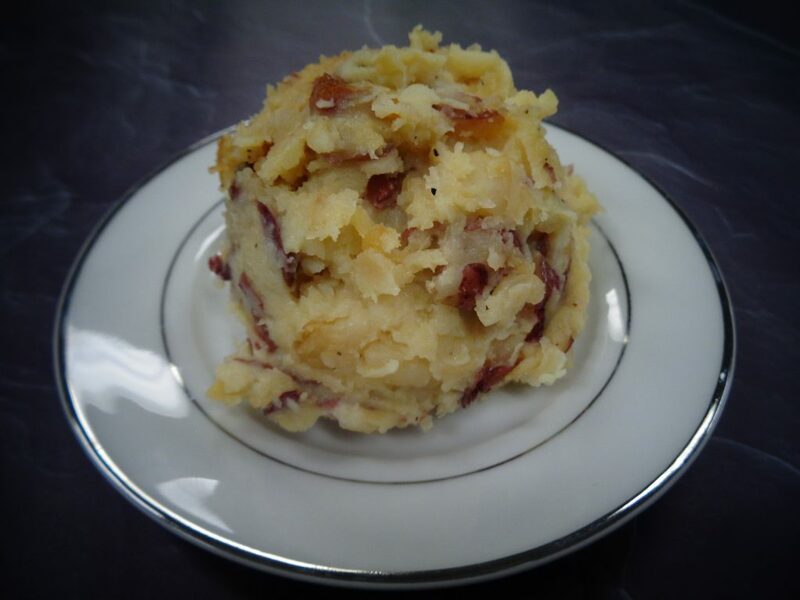 Our chefs at Soprano’s Catering have found the perfect combination of roasted garlic, butter, heavy cream, and other spices to make the most delicious garlic smashed potatoes. Creamy, smooth, but still firm and absolutely delicious! Grilled Broccoli – Many caterers will choose to simply boil or steam their vegetables because it is easier to prepare them that way. Not at Soprano’s Catering! 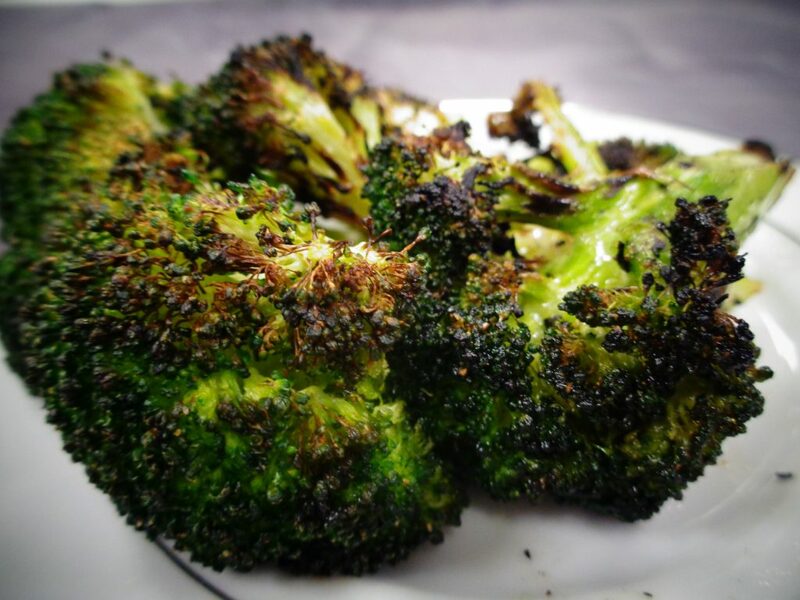 Our grilled broccoli is prepared and cooked on the grill top to get a great char and crust. If you’ve ever tried grilled broccoli then you’ll know how much flavor is brought out of the broccoli when you take the extra time and cook it right!